This was the long-awaited reunion of (almost) the original Santana line up. Old mates Neal Schon (guitar), Michael Shrieve (drums), Michael Carabello (congas/percussion) and Gregg Rolie (keyboards/vocals). It is great to hear them all back together again and they certainly bring the best out of Carlos Santana. It is good to hear this set-up, as opposed to the trend of lots of guest vocalists/musicians almost putting Carlos in the shade on some of the post 1999 albums. "Yambu" kicks the album off with some funky wah-wah guitar, before that late sixties/early seventies organ comes in together with some African vocal chanting. It is a deep, sonorous and powerful opener. "Shake It" features Carlos Santana's searing, fuzzy guitar for the first time over a slow burning, thumping beat. Gregg Rolie's bluesy vocals are excellent - age has made his voice more resonant. This is solid rock stuff as opposed to Latin-dominated rhythm. 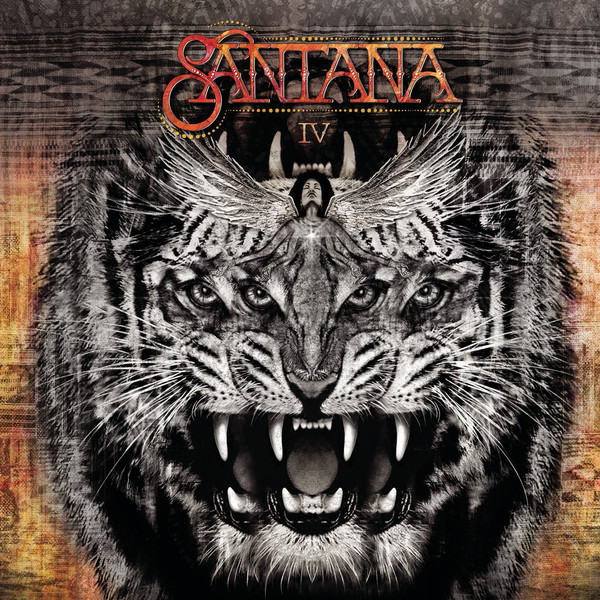 That always was the way with early Santana - rock with a Latin influence. Some of the nineties/2000s material was far more overtly Latin. Not that that was a bad thing, there were just differences in the various phases of Santana's career. That typical Latin-driven rock beat that so characterised an album like "Abraxas" is full-on here in the excellent "Anywhere You Want To Go". It reminds me of "Evil Ways" from the band's debut album too. "Fillmore East" is a delicious ambient guitar-led instrumental that could have come from 1972's "Caravanserai". Both the title and the sound bring back memories of those heady early days and live performances at the Fillmore East. "Love Makes The World Go Round" is a swirling, frantic slab of archetypal Santana rock. "Freedom In Your Mind" is delightfully funky and invigorating in its upbeat soulfulness. "Choo Choo" is possibly a candidate for a cull of tracks, to be honest, but despite its slightly throwaway lyrics it has an incredibly intoxicating rhythm behind it. Great percussion, drums and guitar. The instrumentation seamlessly merges into the powerful rock groove of "All Aboard", an irresistible instrumental. Time for a change in pace at this half way point in the album. The sumptuous Spanish guitar and easy rhythm of "Sueños" gives us a luscious "Samba Pa Ti" moment. "Caminado" is a track that has echoes of the group's late seventies/eighties material. It is another of the album's slightly less essential numbers. "Blues Magic" is a fine, slow burning blues, with hints of Chris Rea about it. "Echizo" sees the Latin groove return for an instrumental that, while upbeat, is possibly another inessential one. It features some great bass/drum/guitar interplay, however. "Leave Me Alone" is pleasant enough, but unremarkable, while "You And I" is another instrumental, which, however melodious, possibly does not have to be there. "Come As You Are" is an infectious, poppy fusion of English and Spanish vocals. "Forgiveness" is a dreamy, ambient song with a lengthy instrumental intro. Overall, despite its length, the album never really gets tiresome. It is full of energy and vitality. Yes it is not "Abraxas" or "Santana III" but had this been released in the early seventies it would have got good press. No reason, then, for it not to do so now.